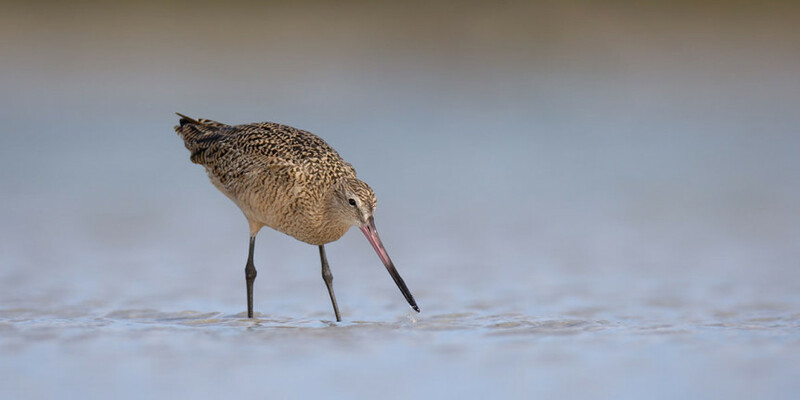 The name “godwit” comes from Old English and means “good creature”. If you have observed Marbled Godwits using their long, up-curved bill to grab intertidal clams, I hope you agree with its name. Looking closely, you can see differences in bill length and body between the males and females (the females are larger). Marbled Godwits found along beaches in the southeastern U.S. during the winter breed in northern Great Plains. AFSI partners need to understand how climate change may affect the food resources that allow godwits to survive the winter.